Every once in a while you are blessed with a special day when you experience something so moving, inspiring and powerful that it takes your breath away. Such was the case when I attended the San Diego Triathlon Challenge (SDTC) fundraiser event in La Jolla, California this past weekend. So, you might be wondering, who are these giants I speak of? Since Bill Walton was in attendance at many of the events, and certainly the tallest among us, you might think I am speaking about him, but I’m not. There were lots of donors with giant wallets and volunteers with giant hearts, but I’m not talking about them either. The giants I am referring to are the 200+ challenged athletes participating in the event – every single one of them. People with giant hope, determination, and incredible strength of body and character. As someone who has lived most of my life as an amputee, I am very aware of the huge effort these athletes must put forth and obstacles they must overcome. They train long and hard, through pain, physical setbacks and challenges, to accomplish something most able bodied people can’t even imagine themselves doing – competing in a triathlon! 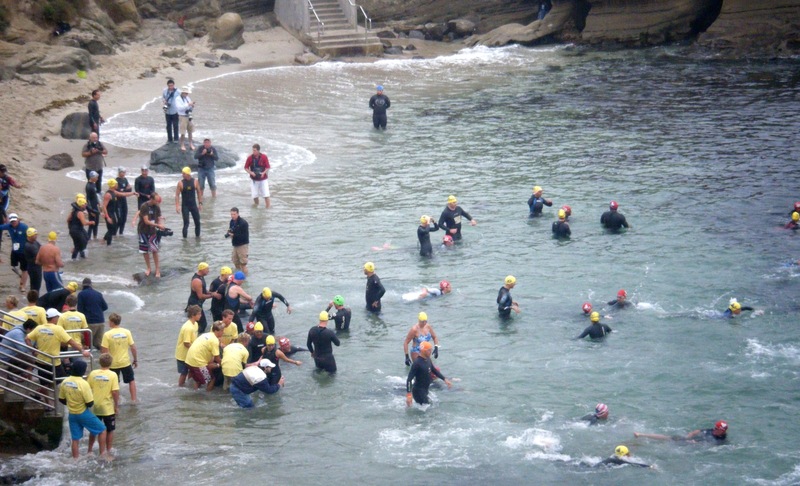 So there I was, perched above the La Jolla cove waiting for the ocean swim part of the SDTC to begin, totally unprepared for the emotional ride I was about to take. From the moment the first group of swimmers came forward my eyes were riveted to the scene unfolding in front of me. I watched in awe and amazement as one after another, amputees and other disabled people of all ages and levels of ability – some blind, most missing limbs (many two or more) climbed, hopped and rolled or were carried into the bone-chilling Pacific Ocean for a 1-mile swim! Then I watched again as they emerged from that water the same way they went in, dried off, reattached body parts, and went on to complete the rest of the competition! Every event I witnessed blew me away. Our own Mei Mei White (just 7 years old and an above knee amputee) rode her hand cycle for 10 miles on a difficult course set up for adults! Two-year-old Cody proudly put his “bendy knee” to the test as he ran with his mom in the Kids Run while his family, clad in bright yellow “Team Cody” shirts, cheered him on. Chris Self, who became a below knee amputee as a result injuries suffered while defending our country, completed the Tri just days after riding a bike 620 miles down the California coast! Although I don’t see myself performing at the level of these warriors, I know I can and should do more, and they have motivated me to make the effort. So today I am sending a giant shout out and thank you to Scout, Mei Mei, Chris, Cody and Andy (superstar participants from our own POA/SCP family) and all the other amazing athletes I was honored to be among last weekend. The pride and passion you possess and instill in others is very powerful and humbling. You can be sure there will be no more excuses for this woman! Congratulations to POA patient Nate Winters!! Nate was inducted into the NCAS Hall of fame on Tuesday, 10/11/11 at the 14th annual Giant Steps Awards Banquet. He was presented with the “Courageous Student-Athlete” award for returning to the game of baseball after losing his leg in a boating accident. Click here to read varticle. POA’s Bree McMahon is in the news again! She’s been working out on the field with her college soccer team, thanks to her new running leg! Click here to view WKMG News segment. 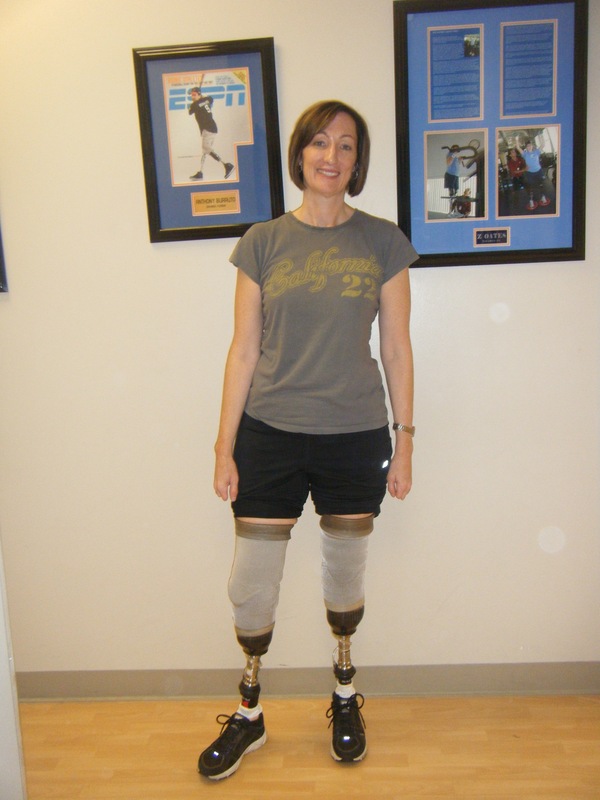 POA has opened a new fitness facility designed so amputees of all ages, abilities, and levels of amputation can exercise safely and effectively. Personalized instruction and guidance by professional trainers is provided. Although still a work in progress, many of our patients are already reaping the benefits. Come on over and check it out!